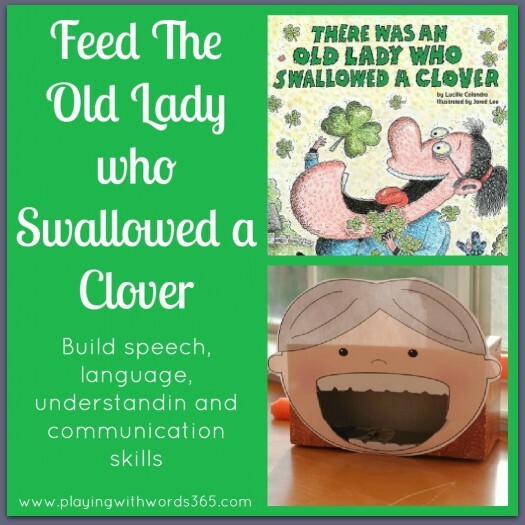 This week I provided a bonus freebie: A barrier game based on the book There Was an Old Lady Who Swallowed a Clover (check out the post HERE). Today I have another activity to go with this book! Feed the Old Lady! 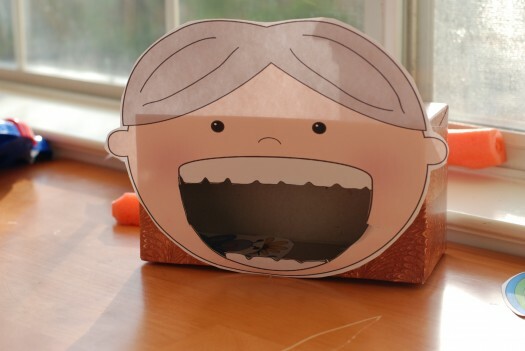 You glue the Old Lady’s head (after cutting out a hole in her mouth) onto an empty tissue box. 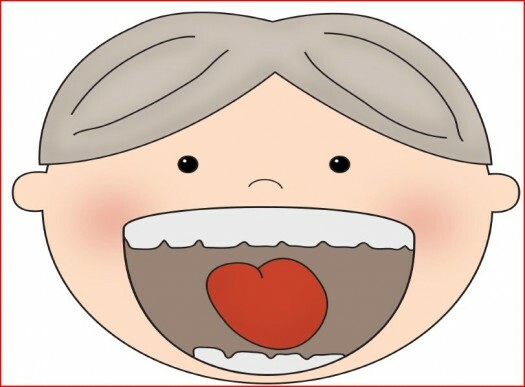 You then can have your children/students “feed” the old lady the items in the story as you read! This would be great for a circle time or small group, or even just 1:1. This can help target vocabulary, turn taking, and is just FUN! . 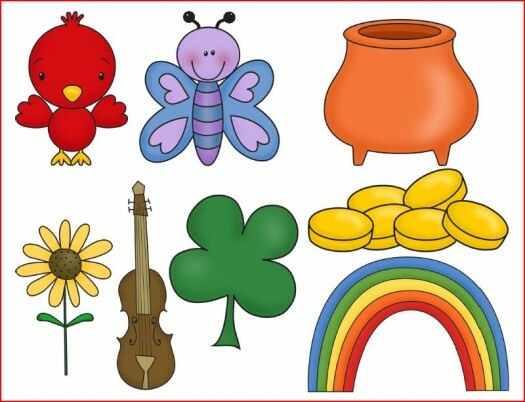 Clip Art was purchased from Scrappin Doodles. Grab your own copy HERE. Want more? You are in LUCK! Check back tomorrow because I have one last activity to go along with this book! This is awesome, as always! I have been wanting to try to find these books for awhile but kept forgetting. I think you gave me the extra nudge because Boogie would think this is so fun! Pinned it! Thanks for sharing! Sierra I use all these books in my therapy sessions as well as at home…I haven’t met a kid who doesn’t giggle as I read all the silly things the old lady swallows! ENJOY! Hi Katie, I thank you so very much. I hope you take a minute to think about all the children you help- and you never met them! As a teacher, you motivate me! YOU ARE AMAZING! I LOVE THE “OLD LADY” FREEBIES!!!! Love all the information and activities!!! I work for the Kindergarten Here We Come program and it’s great to have such a great resource. Thank you. Thanks so much for this activity. My kindergarteners LOVED it!